With their eco-friendly promise to Mother Nature, electric vehicles have gained popularity among U.S. consumers and policymakers alike, and auto industry giants are predicting even further growth for this high-tech and environmentally-friendly segment of the market in the future. Notwithstanding the growth thus far, one of the challenges that has been potentially inhibiting the greater dispersion of electric vehicles throughout Florida has been the lack of clarity in the law with respect to the installation and use of electric-vehicle charging stations within condominium communities. However, Florida’s Legislature recently passed a new law facilitating an owner’s capacity to install and use an electric-vehicle charging station within their condominium building that will surely ameliorate some of these challenges. Before adoption of the new law, and as a result of the potential legal, engineering and financial liabilities resulting from the installation of electric-vehicle charging stations on a large scale, many boards of directors raised questions regarding the proper method to facilitate owners’ requests to install electric-vehicle charging stations within condominium building parking garages. The new addition to Florida’s condominium association laws provides clarity to some of these questions. Specifically, the new law stipulates that a declaration of condominium may not be enforced to prohibit a unit owner from installing an electric-vehicle charging station at their own cost and within the boundaries of their designated parking area. However, an association may require that the installation comply with all applicable building codes, recognized safety standards, and reasonable architectural standards that it adopts. 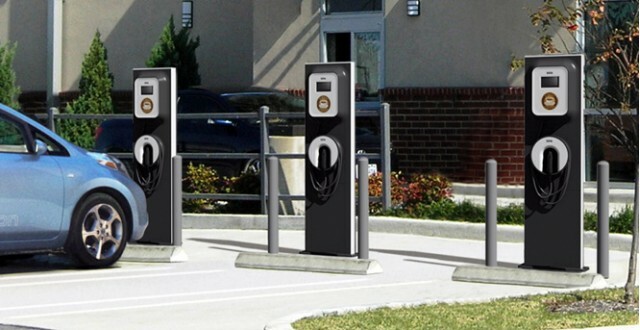 The law also shields condominium associations from construction liens resulting from the installation of charging stations by unit owners; although liens may be filed against the owners installing such stations. The new legislation further provides that the installation of electric-vehicle charging stations may not cause irreparable damage to the association’s property, and the electricity consumed on account of the charging station must be separately metered and payable by the unit owner who installed such station. In addition to paying for the installation and electricity costs, the installing owner will also be responsible for any hazard caused by the charging station, for any liability insurance on the charging station, and for any increased insurance premium to the association’s insurance coverage attributable to the charging station. On account of the new law, and rather than waiting for unit owners to request for the installation of electric-vehicle charging stations within their parking areas, some association boards of directors are now considering installing charging stations, with built-in usage tracking and billing features, in designated areas within their condominium buildings’ parking garages. While determining the location of these charging stations and the administration of their use may present challenges for some associations, the added appeal and marketability of having electric-vehicle charging stations installed as a convenience for all owners, residents, and guests could offset these burdens and enhance property values for all owners. As the use of electric vehicles continues to grow, progressive-minded condominium association boards of directors that embrace this technology and “go green,” either by installing electric-vehicle charging stations within their parking garages or by developing a plan-of-action to administer owners’ requests for the installation and use of such charging stations in line with the new law, may gain a significant marketing edge in providing such convenience to their unit owners.